“No Rules, No Boundaries” is known for its limited use of color; black, white and red and its mixture of intense graphical elements and the exploration of frightening yet humorous characters who are part human and part monsters. 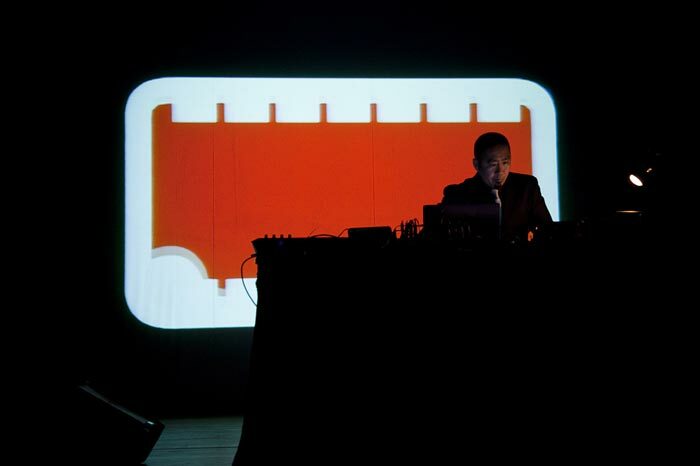 Vj Motomichi uses latest live video mixing technology to create intense atmosphere which quickly turns to total calmness to communicate his idea of fear and peace of mind in our daily life. Motomichi Nakamura was born in Tokyo, Japan, and graduated from Parsons School of Design in 1996. He currently lives and works in New York City. Through a variety of media including animation, video installation, net art and painting, Motomichi intends to explore the intensity of expression that can be achieved through a limited use of color and simple graphic elements. Some of the prevalent themes in his work are related to basic human emotions and fears. His digital animations have been exhibited at the New Museum of Contemporary Art in New York City and Neuberger Museum of Art in New York. His work is also part of the permanent collection of the Museum of Applied Arts in Frankfurt, Germany, and is been showcased as part of the Whitney Museum of American Art’s online collection. As a VJ he has performed his live video/animation mix in several venues in Europe and at the Museum of Modern Art (MOMA) in New York City. Commissioned work includes web/broadcasting animation, character design and games for clients including MTV Networks, MTV Japan, SONY, the Scifi Channel and NTT Docomo.